A new trailer for the map has debuted online which you can check out in the player below. You can pre-order the game here. 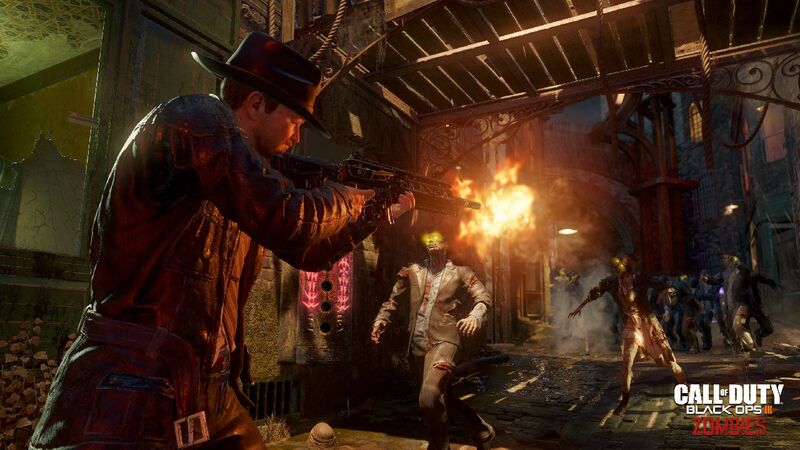 The primary zombies mode in “Black Ops III” is titled “Shadows of Evil” and takes place in a 1940s film noir setting. It features the vocal stylings of Jeff Goldblum, Ron Perlman, Heather Graham, Robert Picardo, and Neal McDonough. Call of Duty: Black Ops III will thrust players into a dark, gritty future, where cybernetics and biotechnology have given rise to a new breed of soldier. Empowered by Direct Neural Interface (DNI) technology, players will assume the role of Black Ops soldiers that are interconnected, faster, and more lethal than ever in a new four-player co-op campaign and a completely redefined multiplayer experience. With a new momentum-based, chained movement system that allows players to move fluidly through environments and maintain constant control of their weapon, Call of Duty: Black Ops III is packed with new multiplayer features. In addition to a new weapon customization system that lets players create unique weapon variants, Call of Duty: Black Ops III introduces the new Specialist system, which lets players choose and rank up to nine elite Black Ops soldiers, each with their own unique look, personality, backstory, and devastating weapons and abilities. Call of Duty: Black Ops III launches on Friday, November 6 for the PlayStation 4, Xbox One and PC.